Home Whatsapp Recover Deleted Whatsapp Messages (Step By Step). 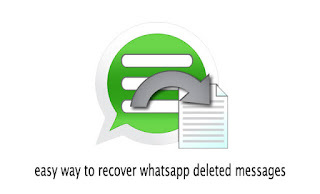 Recover Deleted Whatsapp Messages (Step By Step). Hey Friends wassup...!! Today I'm here to tell you a step by step guide on how to recover deleted whatsapp messages or backup whatsapp in android phone. What you think is there any need to discuss why we all need to retrieve deleted whatsapp messages , why we need whatsapp or advantages and disadvantages of whatsapp blaa blaaa etc. I think it's really waste of time to discuss why we need to recover whatsapp deleted messages because every body have his/her persional reasons to whatsapp backup restore. So let's directly come to the point how to recover deleted whatsapp messages . Step 1 :- First of all keep in mind that don't try to update you android phone otherwise you can't be able to recover deleted whatsapp messages. 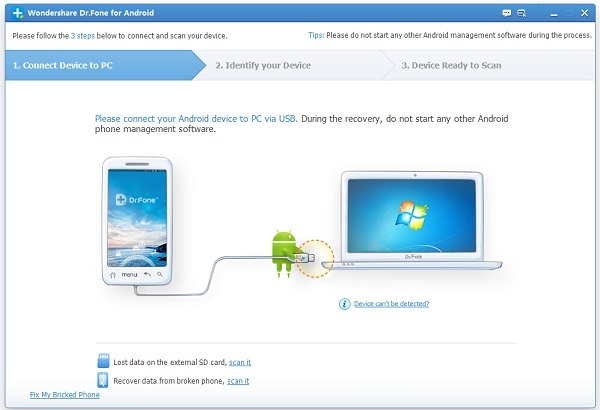 Step 2 :- Now Download "Android Data Recovery" software on your pc and install it. You can Download it directly from here.. 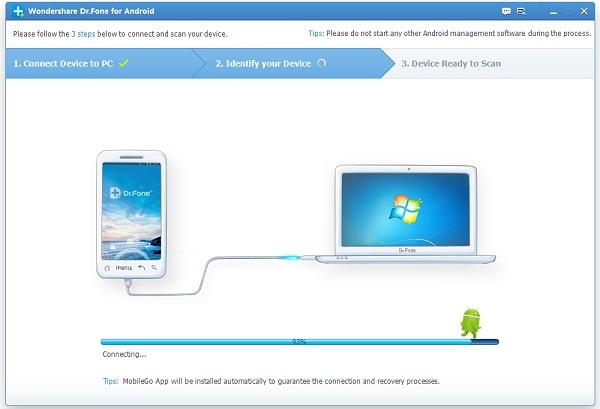 Step 3 :- Now open/run this Data Recovery software, it will ask you to connect your android phone with data cable. 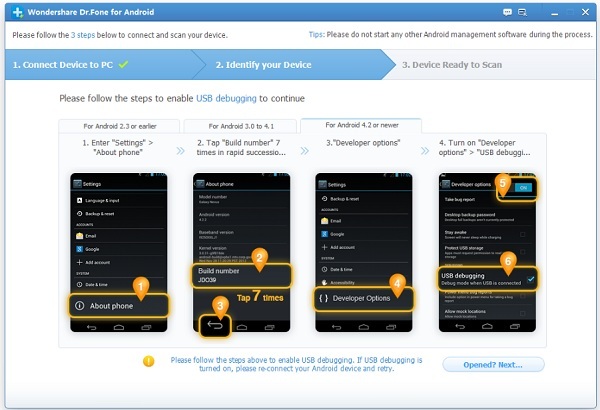 Step 4 :- Now you need to "Enable USB debugging" on your android phone. 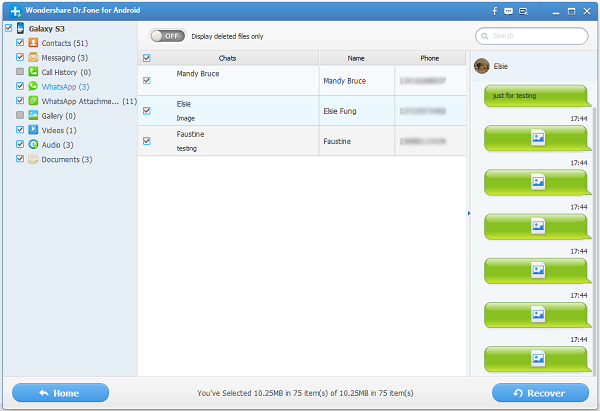 There are three methodes to enable usb bebugging (every android phone supports anyone of these methods). Try these methods one by one on your phone. Method 1 :- If your phone have android 4.2 or newer, Go to Settings > About Phone > Build number, now you will see a message like this "You are under developer mode" > now come back to Settings > Developer Options > Now just check "USB debugging" option. Method 2 :- If your phone have android 3.0 to 4.1, Go to Settings > Developer options > Check "USB Debugging" option. Method 3 :- If your phone have android 2.3 or older, Go to Settings > Applications > Development > Now just check USB debugging. 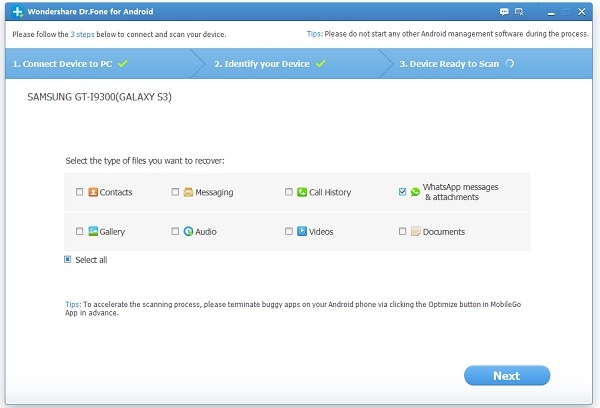 Step 5 :- Now this Android Data Recovery will detect your device. As you want to recover deleted whatsapp messages so just check the whatsapp messages box given there and click on "next" button. Step 6 :- Now this data recovery tool will detect your all deleted files, just select the files which you want to resore or backup. Now click on "Recover" Button. Step 7 :- Now you should back up your android device so that there is no chance to loose any kind of data from your android. Now you have successfully learned how to recover whatsapp deleted messages or whatsapp photo recovery methods.